Tropical Sky is a holiday company that specialises in providing luxury getaways to the world’s most beautiful places. The challenge they faced, in a very competitive marketplace, was getting their name in front of potential customers who would both remember and, ultimately, engage with them. How could they possibly stand out from the crowd when everyone who goes online is served with so many ads every day? 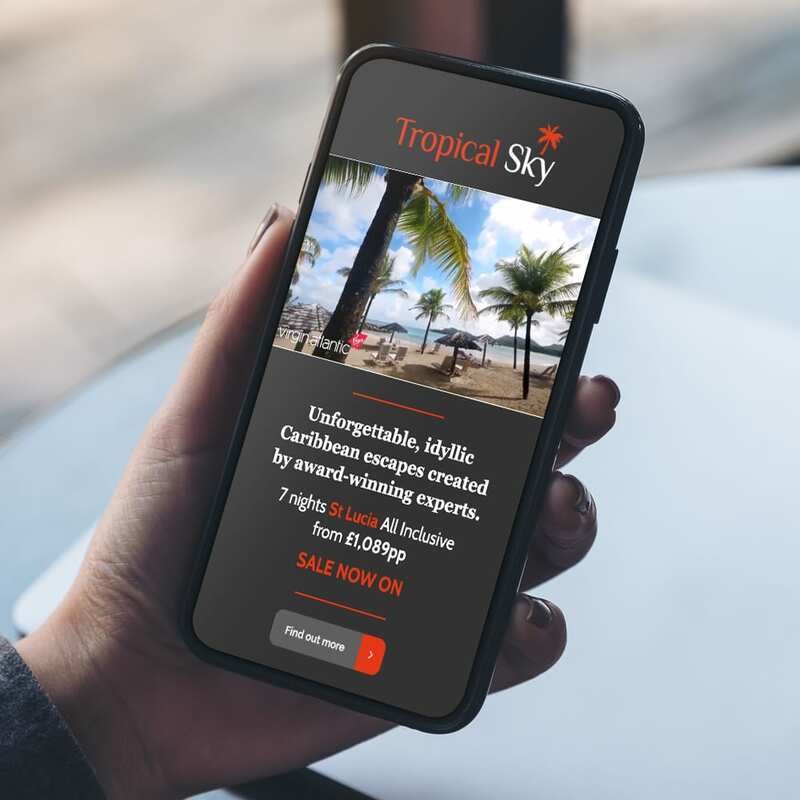 Using advanced HTML5 software allowed our expert designers to create a series of ads that were quicker, more flexible, more interesting and basically of a much higher quality than anything Tropical Sky was used to working with before. After relying on Adobe Flash to build their ads for years – often a hugely frustrating experience, due to this platform’s many limitations - moving to HTML5 was a revelation for our client and their online marketing approach. Where HTML5 most excels is on mobiles and tablets, as it requires less power to run and is, therefore, much speedier to load – something we all know is vital when it comes to getting users to engage with ads. 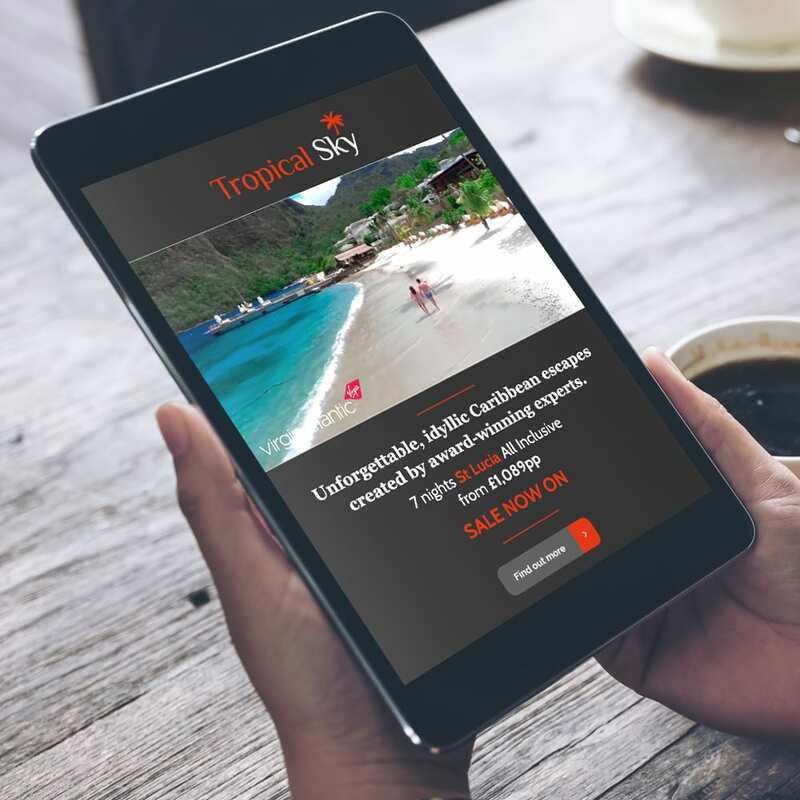 This meant we could launch an exciting interstitial video ad campaign for Tropical Sky that featured prominently on the Metro’s website. We were rather chuffed with how it looked – and so was the client!